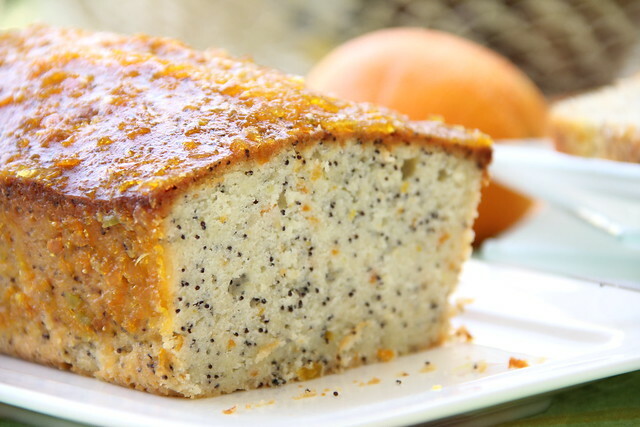 This cake could either be called a “Orange Cake with Poppy Seeds” or, alternatively, a “Poppy Seeds Cake with Oranges”. Both of the ingredients (we will be using a combination of orange jam, zest and juice) are equally prominent in this lovely cake, complement each other and equally contribute to the eventual result. I saw an original idea in ideasfordinner blog, but then I almost forgot about it. 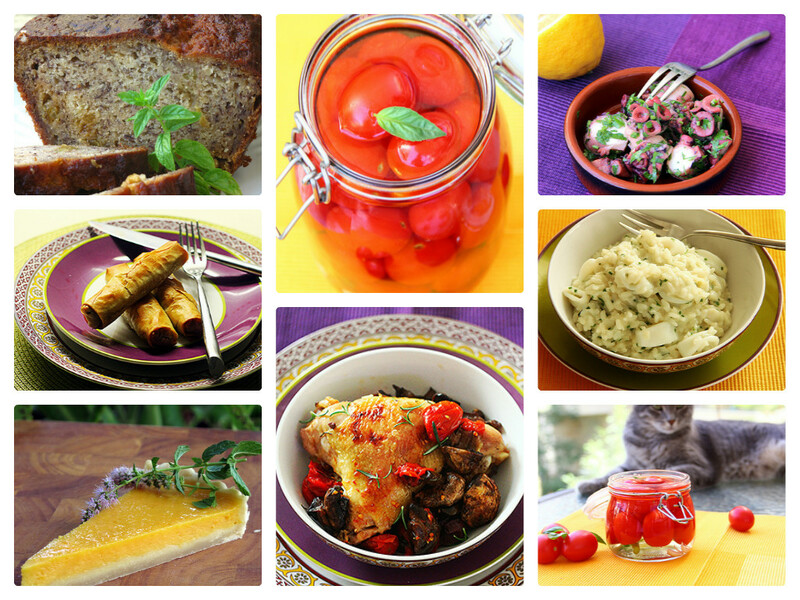 One day I had a craving for something just like this, and, gladly, I managed to find the recipe and make it. 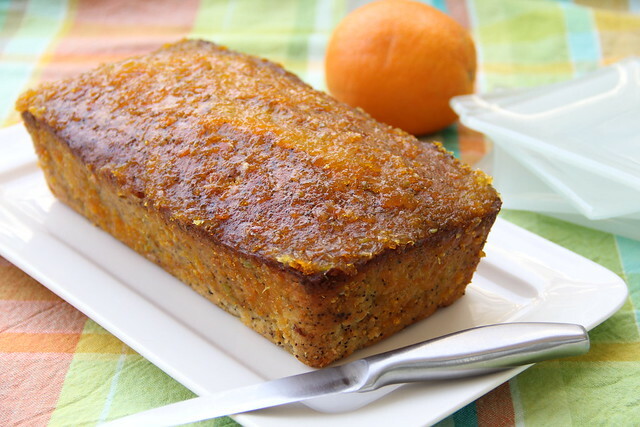 The cake turns out being very soft and moist – extremely pleasant. In our family it was eaten in less than two days. I will present the recipe I’ve modified and cooked. The original one can be seen here. 1. Mix the sour cream with jam. 2. Sift the flour and the baking powder, add the poppy seeds and the zest and mix thoroughly. 3. In a mixer, beat the butter with the sugar for a couple of minutes, until obtaining a light-colored cream substance. 4. Without stopping the mixer start adding eggs one-by-one, beating for 1-2 minutes after each. The mass should remain light airy light-colored cream every time. If the butter sticks to the bottom, stop the mixer and “peal” it. 5. Add the sour cream/jam mix and, again, beat into a uniform substance. 6. Add the flour and knead the dough quickly (again, recommended doing this with a mixer). 7. Cover the baking form with a baking paper. Pour in the dough and straighten its top. 8. Bake at 160C (it took me about 1 hour and 20 minutes) checking for readiness with a toothpick. 9. Mix the juice with the jam and spread the mixture over the cake while its warm. 10. Let the cake cool to the room temperature and serve it. up to date with forthcoming post. Thanks a million and please keep up the enjoyable work.